It was our first full day in Peru, and we were greeted by rays of sun beaming through our hotel room in the San Blas neighborhood of Cusco. 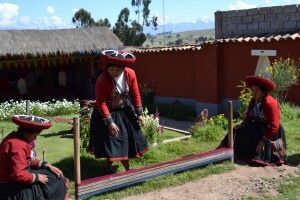 The day before we had signed up for a half-day tour of the Sacred Valley, a fertile area that the Incas used for farming and that remains an agricultural production center to this day. We found out about the tour from a promoter who had greeted us in the lobby when we arrived the previous day, weary and bleary-eyed after our red-eye flight from Boston. We assumed the tour rep was affiliated with the hotel, but as it turns out he was simply cruising hotel lobbies in the area, trying to attract tourists. Slightly dubious, but by the time we figured it out we had already signed up. How bad could it be? 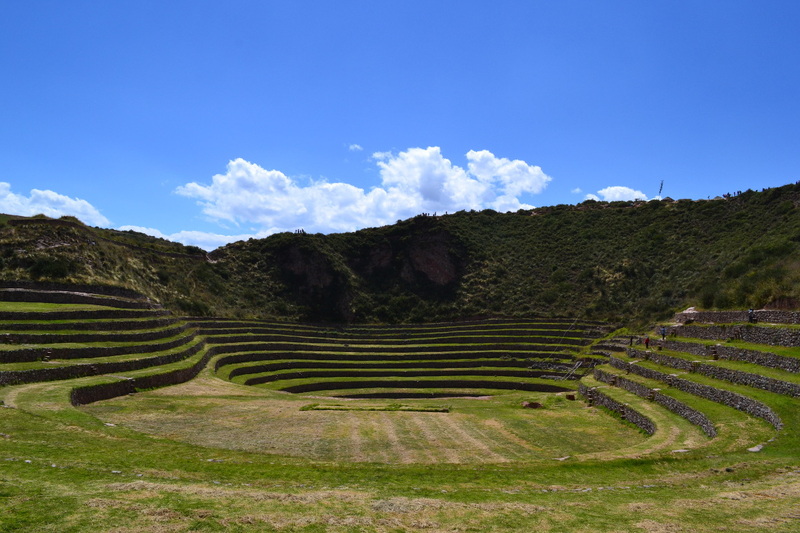 We wanted to see the Sacred Valley, which was billed as a Peru “must-see,” and at $17 for a half day tour, the price was definitely right. Despite some initial trepidation, the day proved to be quite enjoyable. Shortly after breakfast the same tour recruiter who initially sold us met us at our hotel and escorted us to the start site near the Plaza de Armas in Cusco center. We boarded one of the busses and headed out, winding through the neighborhoods on the hills that surrounded the city. At this point we got our first taste of the unintelligible English of our tour guide. The poor guy was really trying (and from his expressions it seemed as thought he thought he was succeeding), but I found it easier to understand his Spanish than his English. Through a mixture of languages, I was able to follow most of the narration throughout the morning. 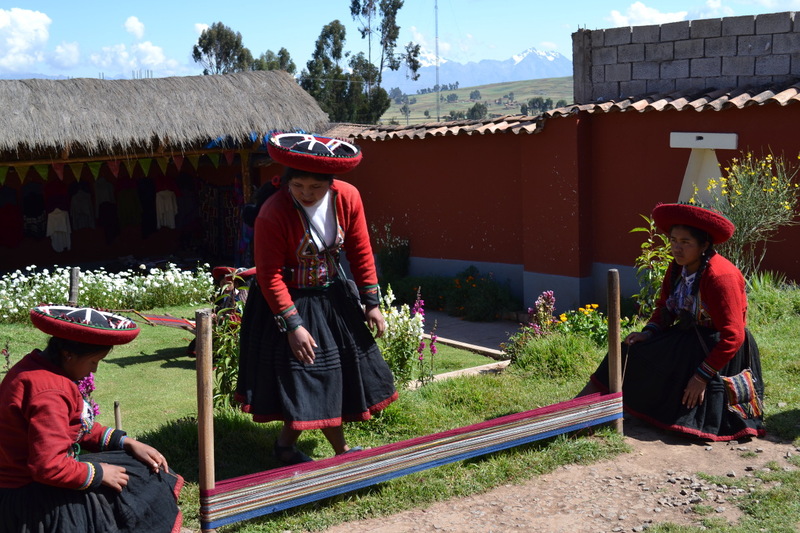 Our first stop was a textile center, where women in traditional Peruvian dress were weaving Alpaca and Sheep wool. 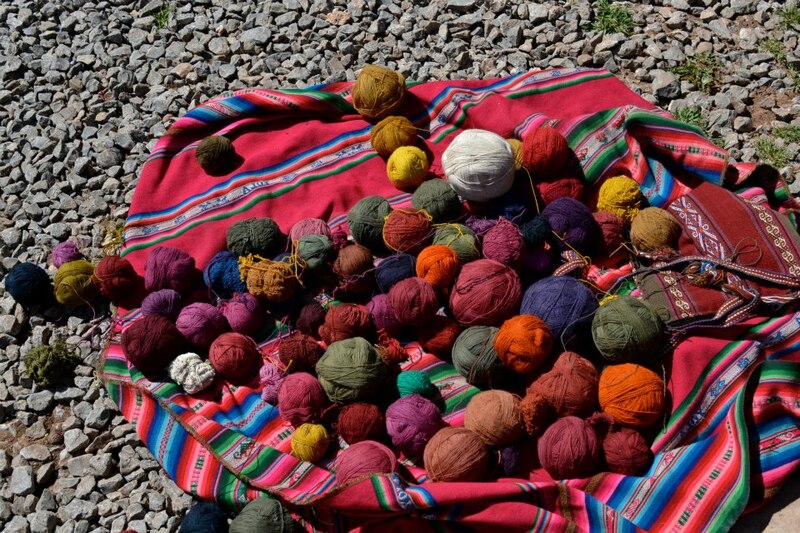 They demonstrated to the group how the wools were taken from the animal, cleaned, turned into thread and then dyed using various natural items – plants, berries, insects, etc. 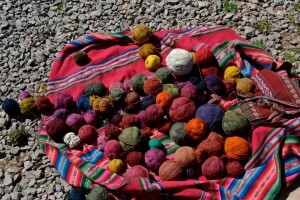 We also learned that when squashed one particular insect produces a bright red color, which the local women sometimes use as lipstick. Natural cosmetics! We saw how the women wove table runners, which was interesting. They claimed that each runner required six hours of work, every day for a month. The stat seems hard to believe, but the finished products were gorgeous — quite long and ornate, and all was done by hand. I wanted to buy one, but given all that went into them, they were a bit steep. 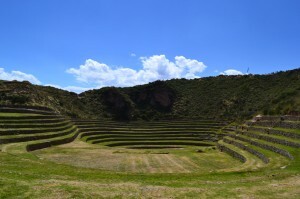 After a bit of walking around time at the textile center, we hopped back on the bus and it was on to our next stop: Moray, a set of circular ruins that formed a depression in the earth and were used for agricultural purposes. According to researches, each level of the depression created a new microclimate for different crops, and the theory is that Moray served as an agricultural laboratory of sorts. The ruins were grand and definitely cool to see. We were given 30 minutes to explore, during which Danny and I took a possibly too leisurely walk around the loop bordering the ruins and then hustled some to get back to the bus on time for departure. The last stop on the tour was the salt mines, which were nestled at the bottom of a winding road, deep in the mountains. It was interesting to gaze down at the layer of white crusty salt that covered the surfaces below us, but when given the opportunity to explore Danny and I opted instead to wander the gift shops at the entrance of the mine and share an ice cream pop. Viewing from afar was enough this time around. An hour’s bus ride later and we were back in Cusco and the tour was over. 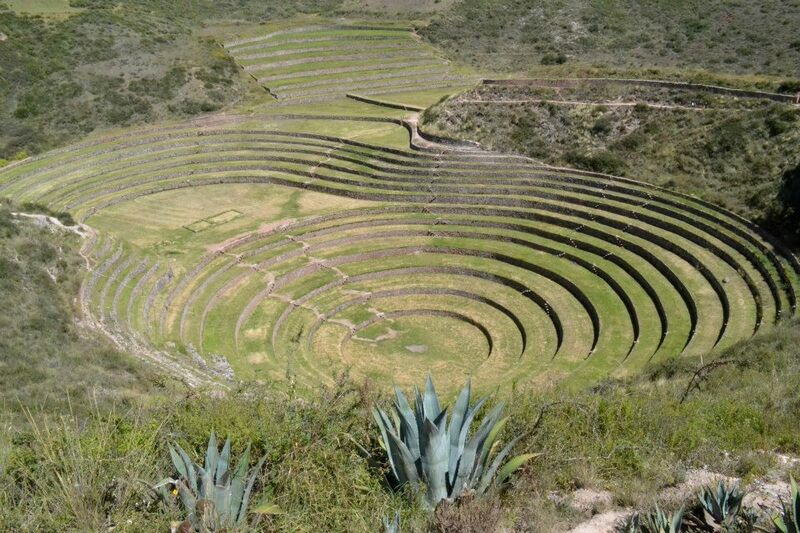 It had been an interesting, active morning, and the rest of the afternoon in Cusco still lay ahead.